Absent unusual circumstances, an applicant should receive his or her ID card at the same time he or she applies for it. 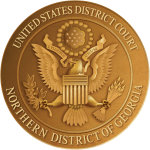 Although an ID card previously may have been issued with an expiration date, the card continues to be valid and accepted while the holder remains a member in good standing of the bar of the Northern District of Georgia. The card is issued by the U.S. Marshals Service and remains their property.